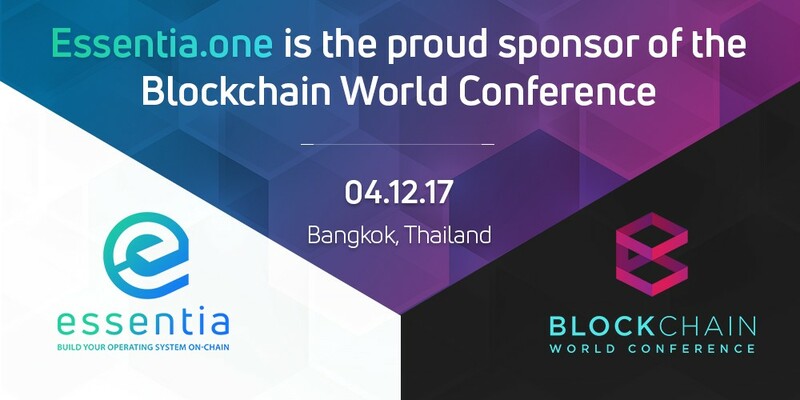 We’re happy to announce that Essentia, the framework for decentralized operating systems, will be the official sponsor of the “Blockchain World Conference” in Bangkok, Thailand, hosted on the 4th of December! The BWC is a conference where investors, developers and enthusiasts gather to discuss the hottest topics in the world of decentralization. You will have the opportunity to get acquainted with cryptocurrencies (if you are not already), gain professional opinions about the ICO investments, the future of the blockchain, and a lot more. The speakers of the conference include Da Hongfei (NEO), Jarrad Hope (Status), Vansa Chatikavanij (OmiseGO), Poramin Insom (Zcoin), Richard Ma (Quantstamp), Anastasia Andrianova (Akropolis) and many others! One of the founders of Essentia, Matteo, will be present at the conference. If you have missed the previous event we hosted in Amsterdam on November 17 — the “Blockchain World Conference” happening on this 4th of December is another great chance for you to learn more about Essentia and ask us anything you want! Feel free to approach us (we’ll be around with an Essentia T-Shirt) and you will be able to receive an Essentia T-shirt for free! From our side, this conference is a huge step forward, as by sponsoring such a big conference, we can give the attendees a ‘taste’ of our work on Essentia. We are officially introducing our product to the world and we will be there for everyone who will take interest in it. Don’t be late to buy a ticket and be a part of the conference. Also, visit our website, read our whitepaper and feel free to contact us. 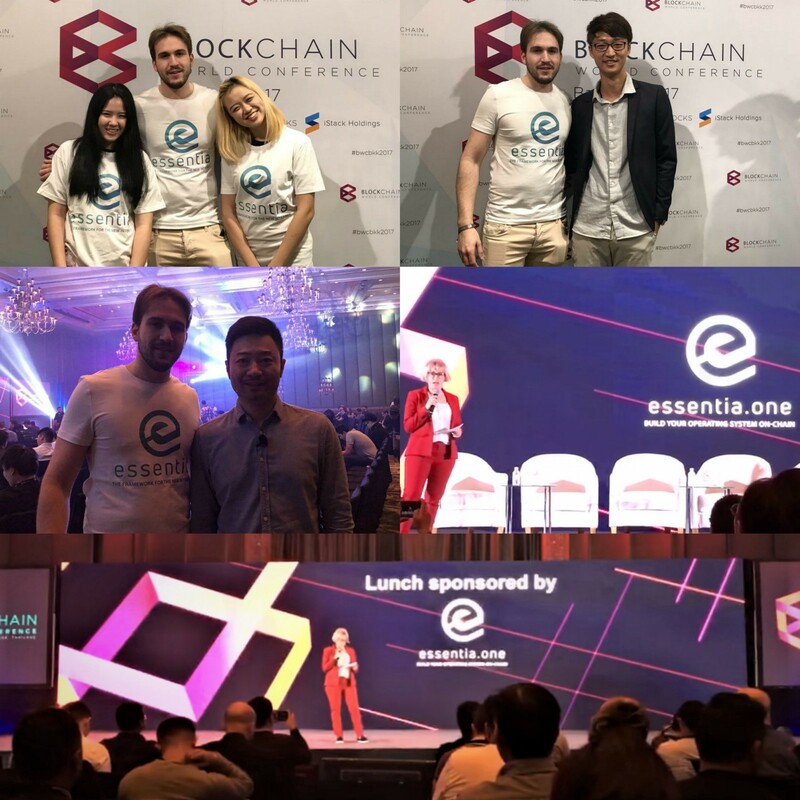 It was a big honour for us to sponsor and attend the Blockchain World Conference. We’ve had a great experience and met with leading Blockchain developers! We have increased our insights from the top leaders in blockchain development industry, diverse range experts, businesses, and other blockchain enthusiasts. We are proud to be a part of an international conference dedicated to decentralization! We’re looking forward to future events from BWC!